The chardonnay vines are grown on an east facing, gentle slope allowing early morning and late afternoon sunshine. This aspect is perfect to grow top quality chardonnay grapes. Today the average age of the vines is over 40 years, which adds to the complexity of the fruit. The chardonnay grapes are hand harvested early in the day and then pressed in an air bag press. The juice is then chilled, settled and inoculated with yeast before being transferred to a cool underground cellar for fermentation in new, one and two year old French oak barrels. The wine is left to age on the yeast lees with regular lees stirring to increase the texture of the wine. After around 11 months, the wine is fined and sent to bottle. 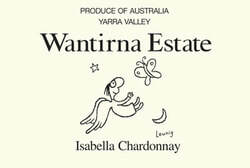 The Isabella chardonnay trademark is its elegance and rounded middle palate texture. With time in bottle the fruit flavours develop into complex nuts and toast character with a succulent yet tight finish.